When most people think of the dentist, they picture ordinary dental examinations, teeth cleanings, x-rays, and fillings. While all of these procedures are regularly performed by your dentist and are important for good oral health, cosmetic dentistry is another important aspect of dentistry to consider not only for your oral health, but also your overall health. The focus of cosmetic dentistry is to restore the form, but not necessarily the function, of your smile. However, placing a porcelain fixed bridge to fill in missing tooth space will certainly do both. A single visit to your cosmetic dentist in Riverside can do a lot not only for your teeth, but also for your self-esteem, an aspect of our well-being that many people often overlook. Cosmetic dentistry in Riverside, CA is quickly gaining popularity each year and it’s making an important difference in the lives of many people. A smile you’re confident to show off can open up new doors in your social life and boost in your self-confidence can do wonders for you at work. 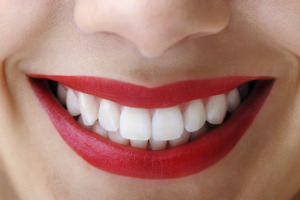 With all the amazing advances in cosmetic dentistry, a Hollywood smile is now a choice. Choose the smile you’ve always wanted. Here at Greenway Dental Excellence, our cosmetic dentist, Dr. Kurt Greenway, is proud to offer a successful method of replacing missing teeth through the provision of dental implants. Dental implants look, feel, and function just like natural teeth. They are permanent tooth replacements that can restore your smile and your confidence at the same time. There are many options available for teeth whitening, but if you opt for the do-it-yourself approach, which one is right for you? Our Riverside cosmetic dentist has been applying teeth whitening treatments for years, and can help you select the best teeth whitening product to achieve your goals. In Riverside, and at our other dental office locations in Tustin, Upland, and Lake Elsinore, we provide both in-office and take-home teeth whitening treatments. We will help you select the right teeth whitening treatment for you that will whiten your teeth many shades whiter than the teeth whitening products you find in your local grocery store. Additionally, due to its high level of performance, and the many requests we’ve received, our cosmetic dentist has chosen to use the Zoom whitening treatment. Let us show you how this revolutionary teeth whitening product can enhance your smile. Cosmetic dentists have been using porcelain veneers for years to restore smiles back to a near-perfect condition. Crafted from thin, durable, tooth-shaped pieces of porcelain, the dental veneers provided at this practice are customized to match the patient’s existing tooth color. In addition to our Riverside office, Greenway Dental Excellence can be found at three other locations. We have dental practices conveniently located in Upland, Lake Elsinore, and Tustin for our patients in Southern California. Contact us if you have questions, or if you would like to request an appointment with your Riverside cosmetic dentist.